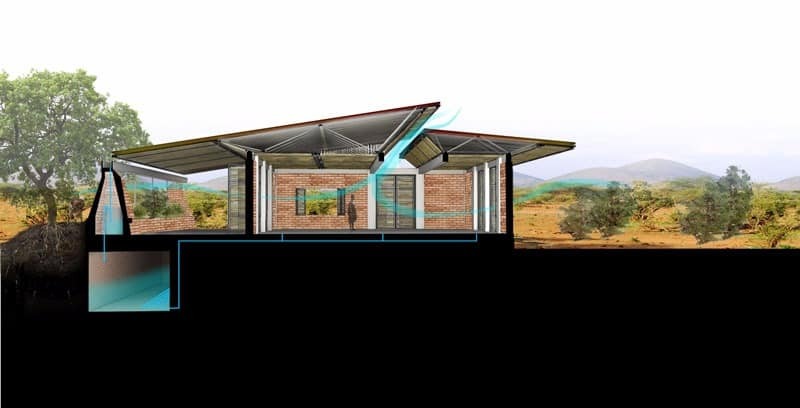 Our designers have created a vision for our renewable energy partners in Rwanda, in which a local cooperative will be given space to cultivate their entrepreneurial spirit! 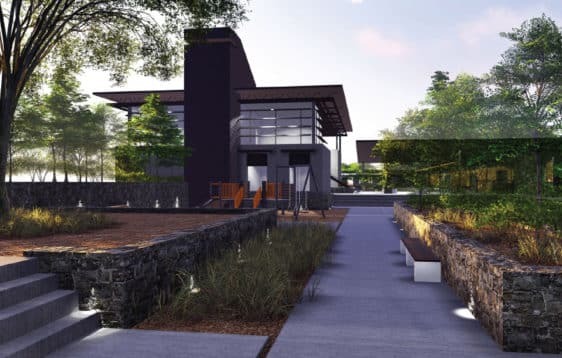 There is also a small library component to the design, so that the nearby powerhouse could divert a small percentage of electricity to the facility for community development programs. 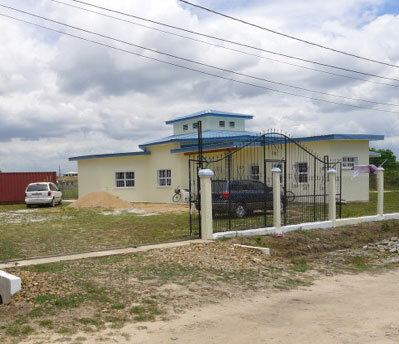 The Agricultural School seeks to be the inaugural technical school aimed at filling the holes in the skilled labor force. It will provide students with directly applicable skill sets for employment through classroom lecture and hands-on practice in workshops. Eventually thousands of local skilled technicians will be employed throughout the country, and the nation as a whole will thrive. 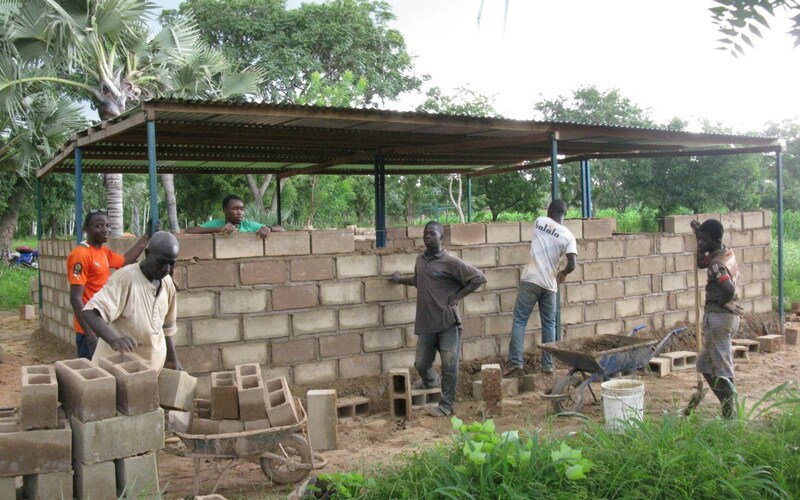 The Bobo Dioulasso Vocational School seeks to be the inaugural technical school aimed at filling the holes in the skilled labor force. It will provide students with directly applicable skill sets for employment through classroom lecture and hands-on practice in workshops. Eventually thousands of local skilled technicians will be employed throughout the country, and the nation as a whole will thrive. Status: Design complete. Preparing for construction. 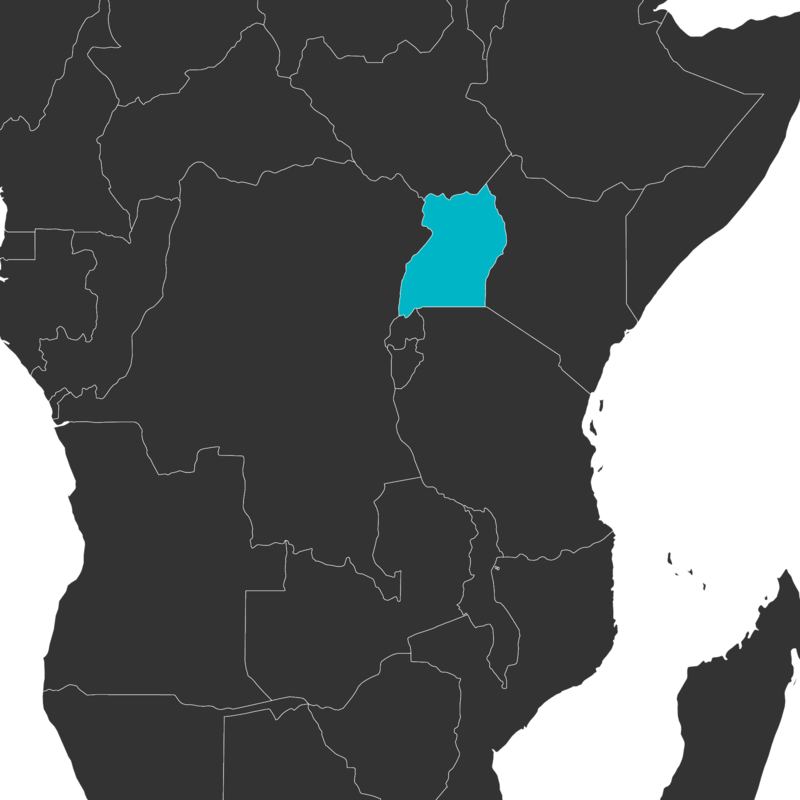 The Maranatha Hospital is the first of six regional medical clinics in Western Burkina Faso. 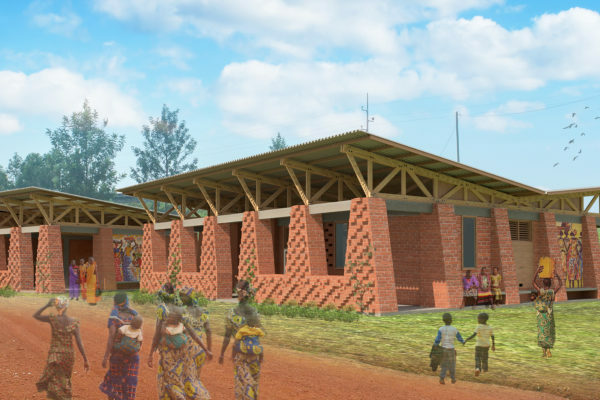 These clinics will be outfitted to care for the real and everyday needs of the community and will mark the first time that many Burkinabe’ will have access to healthcare. 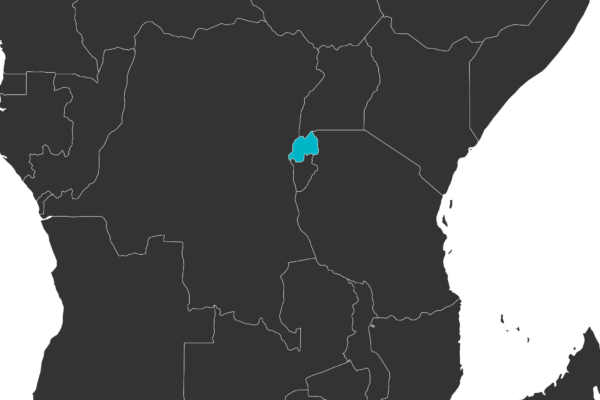 It strives to improve life for the Burkinabe’ community by facilitating access to quality, affordable health care, educational opportunities and community development programs. 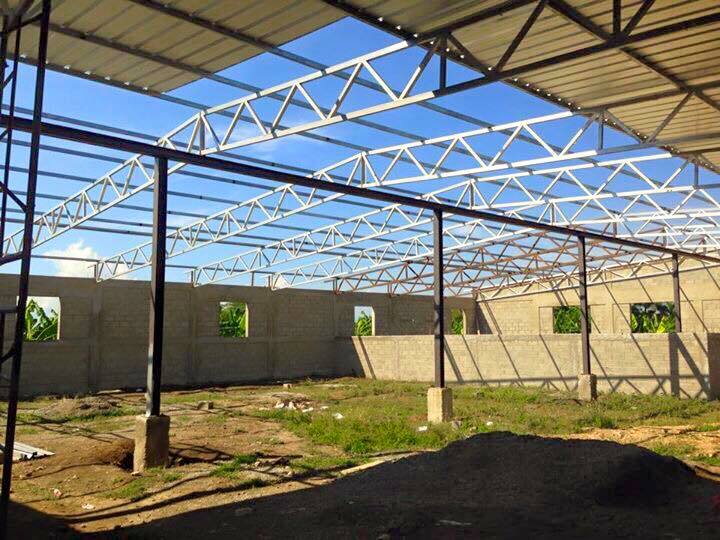 The first medical clinic will be completed in 2016 with a new clinic surfacing every year for 5 years following the first. 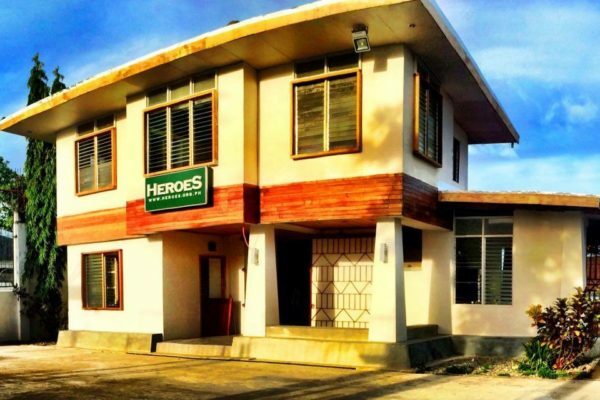 The city of Tacloban has been severely injured by the storm that hit in 2013, but its people are determined to rise from the wreckage and rebuild an even stronger community. 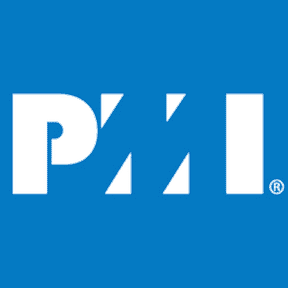 In order to be resilient, they must adapt to the changes that the environmental conditions require. 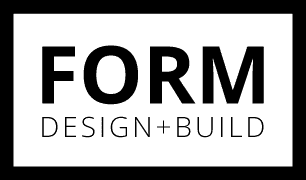 This project hopes to provide new life and a sense of security for anyone who comes into this space through fulfilling a variety of needs that exist within the community of Tacloban. 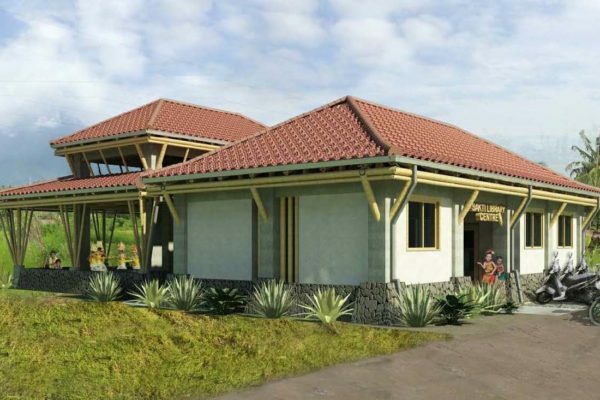 It will serve as both a disaster relief center and a place of worship for the local church. 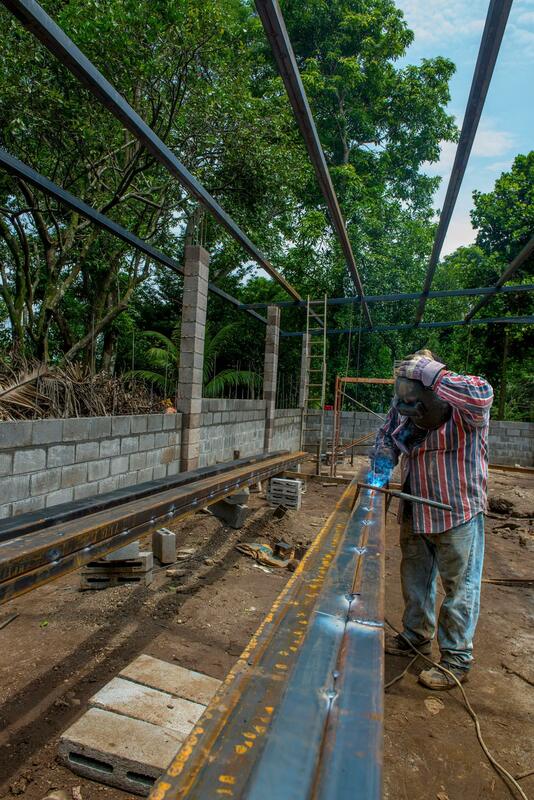 The Santiago Agriculture and Water Company will bring sustainable solutions that address the lack of clean water, food sustainability short-comings, the limited access to primary health care and education, and the absence of technical and vocational job training for the poor and marginalized in the “El Cibao” region of the Dominican Republic. 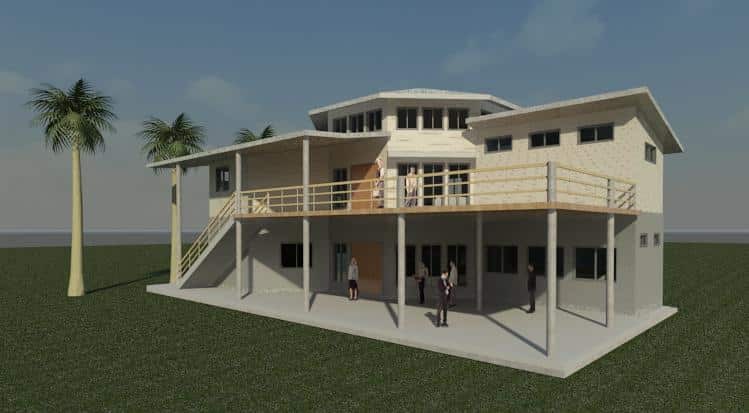 The facility relies on a social business model using aquaponic-farming methodology, sustainable agricultural biology and household-scale ceramic filtration technology to fund a community vocational/technical training and health care center. 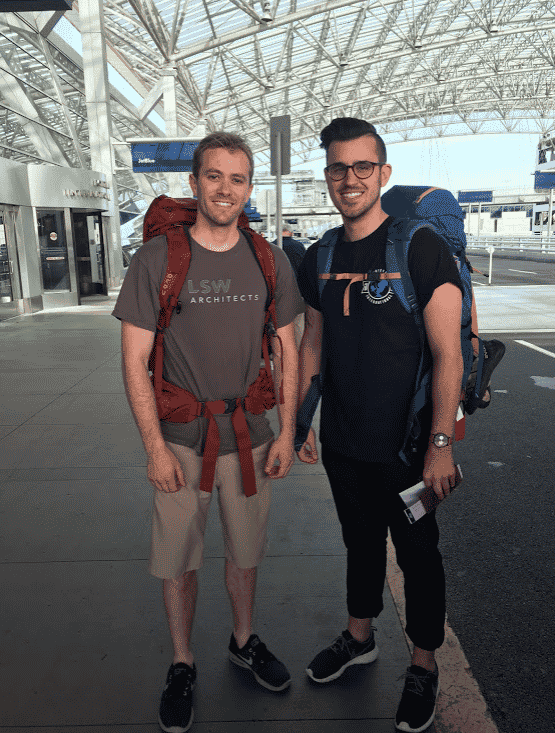 In 1988, at the invitation of local Nicaraguans, Jim and Sarah Hornsby began the work of Young Life (Vida Joven in Spanish) in Matagalpa, Nicaragua by making contacts with youth through English classes and sports. 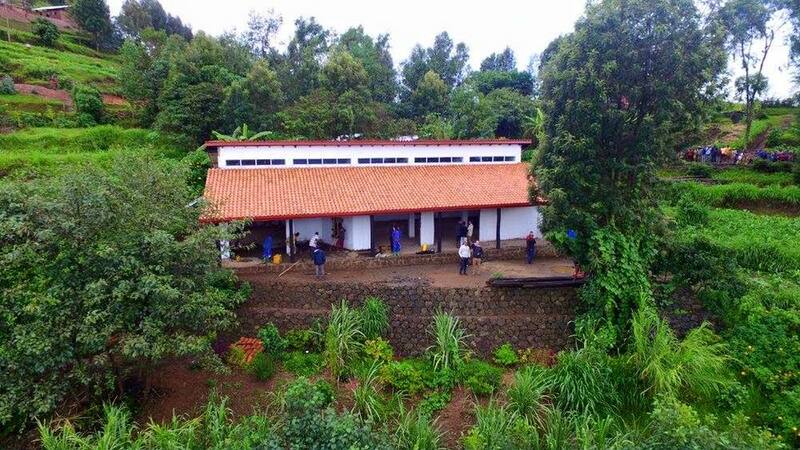 La Finca (‘the farm’) doubles as a haven for kids and a working farm where world class coffee is grown and sold—the profit of one bag of coffee goes to send one Nicaraguan youth to a camp for a day. 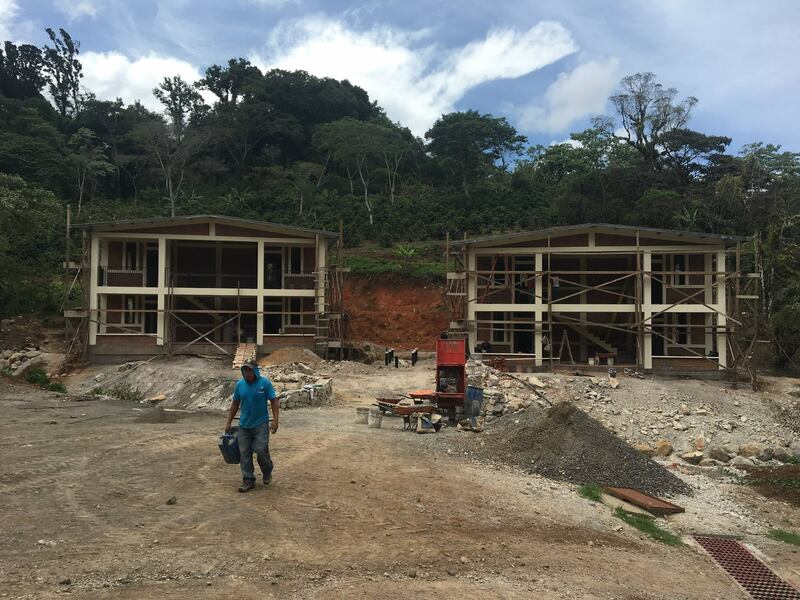 The expansion of La Finca includes two dorms and a new staff center with housing to be completed by the end of winter 2015. 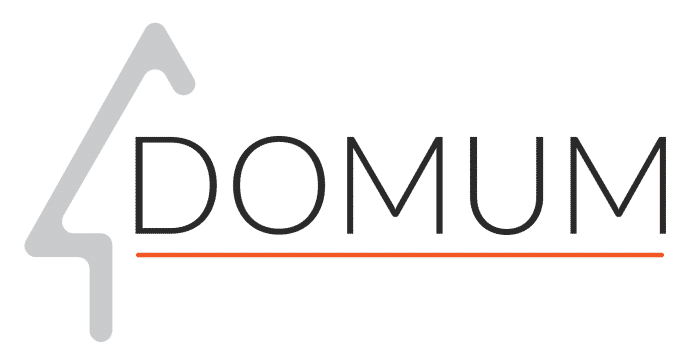 The primary goal of the Education, Business, and Training Center is to aide in the revitalization of the Ugandan economy. 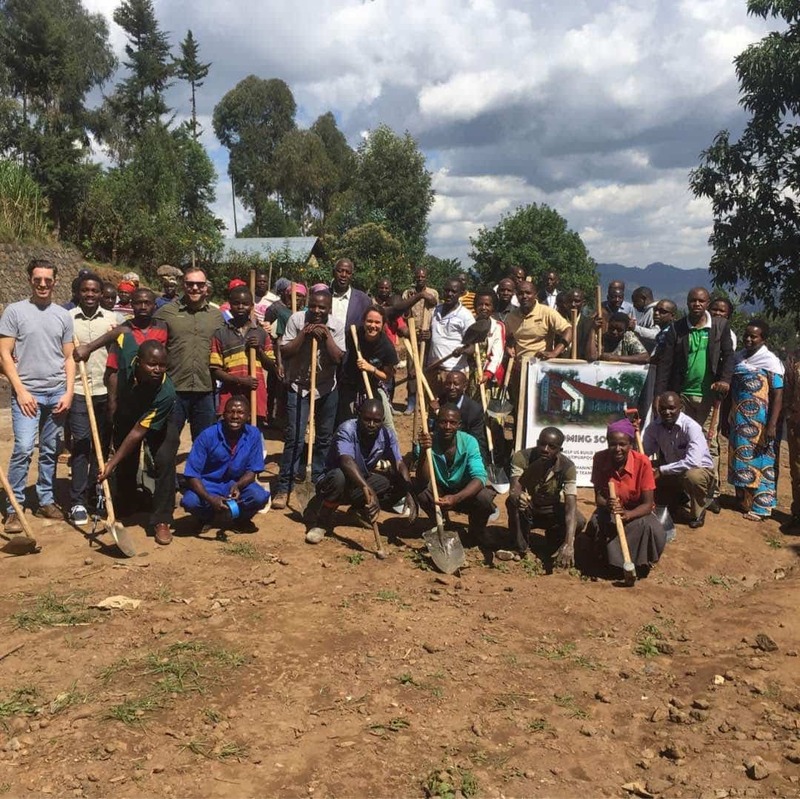 Training Ddegeya villagers will encourage them to join the workforce and enable them to provide for their families. 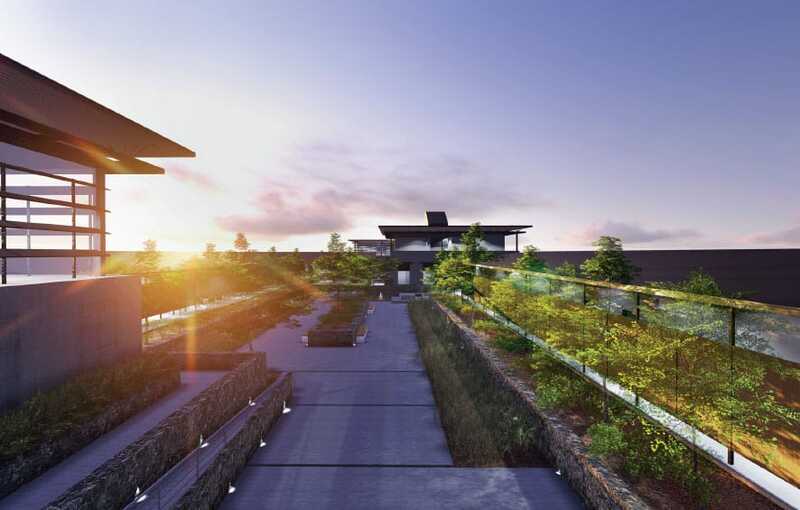 Ultimately, the facility will support a variety of activities, including: community gathering spaces, staff housing, computers, and sewing machines. 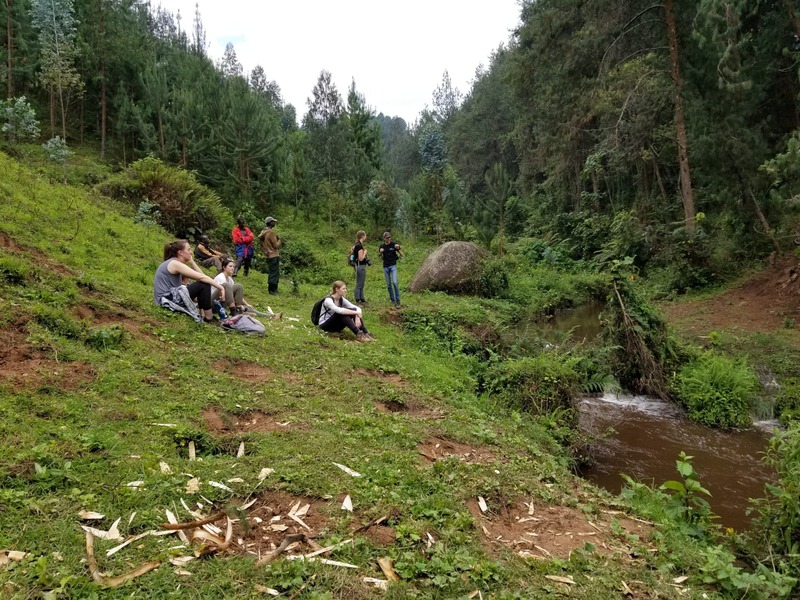 This eco-lodge aims to bring tourism and training in hospitality to this remote village on the edge of a national park in the west of Rwanda. 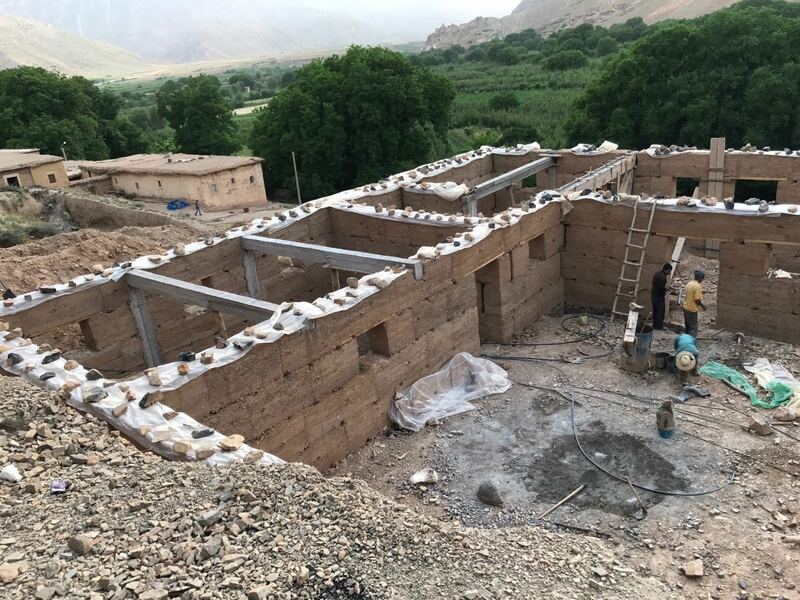 Next to the accommodation will be a community center which brings local people together for gatherings, social programs, and anything else they need to use the space for. 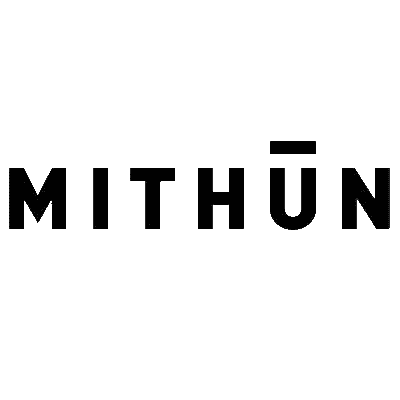 This project, designed by university students, blends the worlds of hospitality and celebration of local culture. 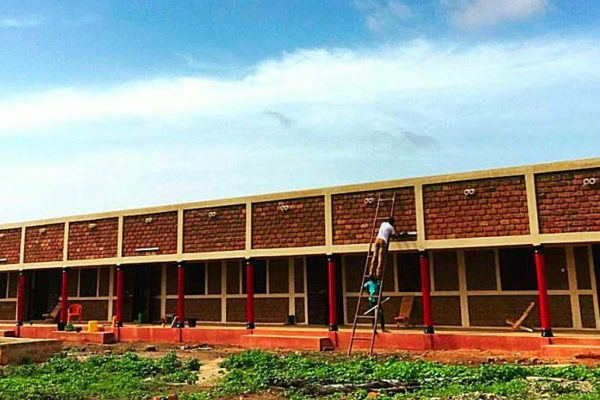 As part of the Rubagabaga river master plan for a village next to a hydropower plant, this community center focuses on vocational and agricultural training programs for local farmers and tradesmen. 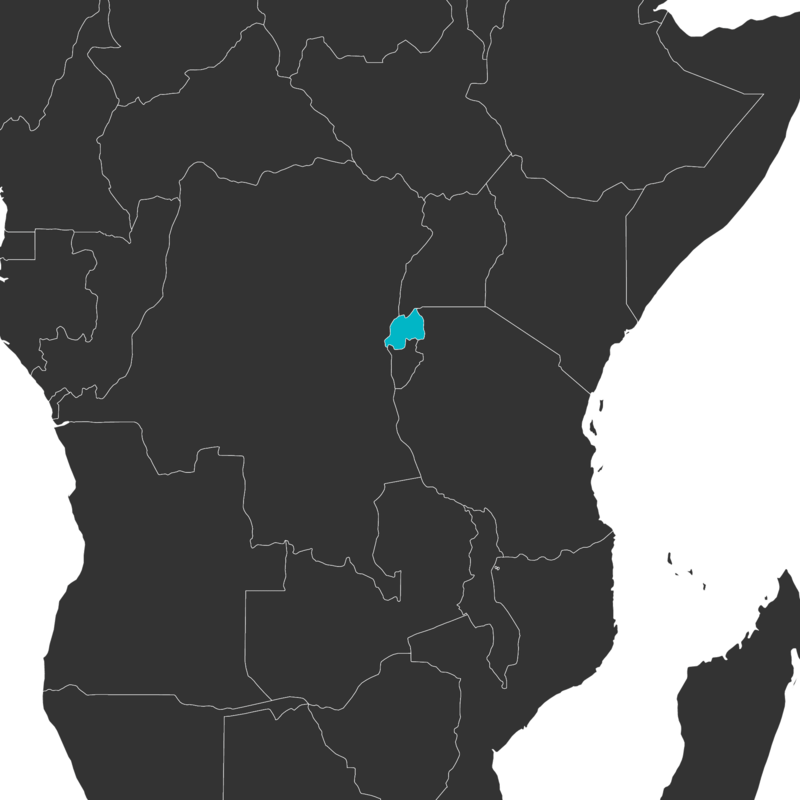 This is connected to a micro-industrial park in an effort to stimulate the economy in this rural, mountainous area. 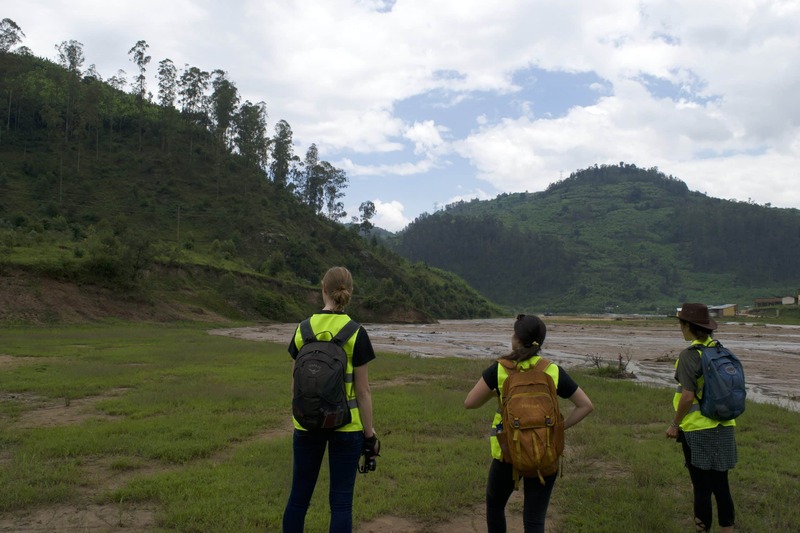 The JI team is joining Empowering Villages to create a flexible space that meets the needs of these programs which aim towards overall positive and sustainable impact. 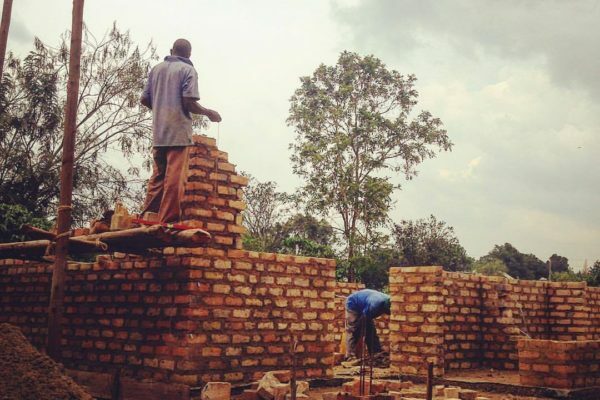 This community development in a remote village of northwest Rwanda aims at providing both educational space for youth as well as industrial workshop space for local businesses to grow. 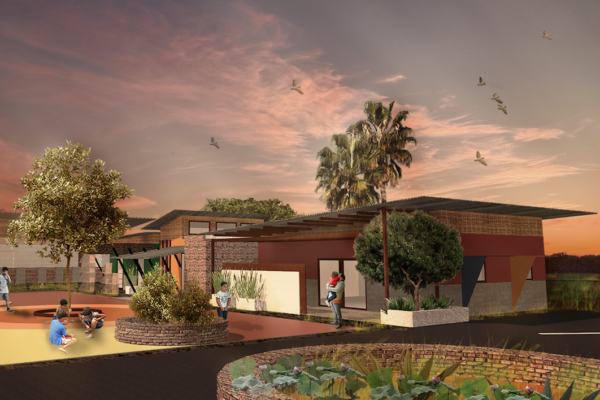 Designed by a team from Cal Poly San Luis Obispo who visited their project site, these facilities will allow for empowerment and sustainable employment in a region that needs it most. 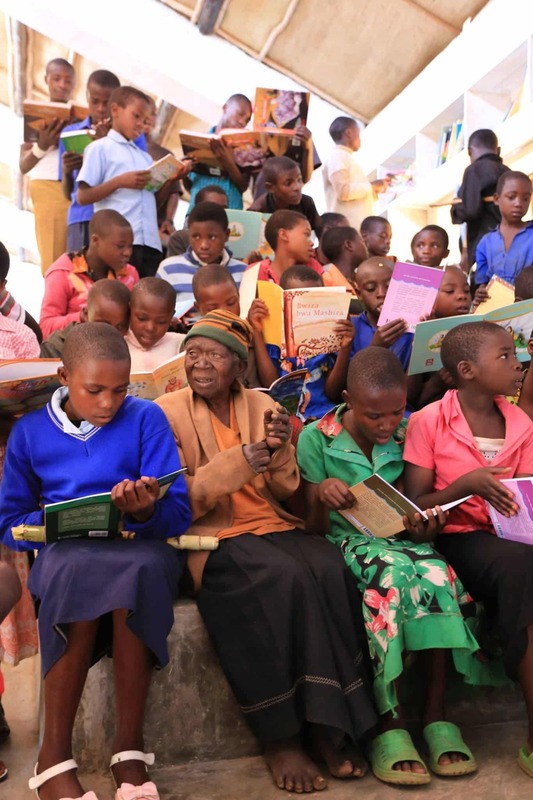 The Malawi Children’s Village provides high quality education to orphan youth in a rural region of the country, but the schoolteachers are currently forced to commute a long distance to get to the work they are so passionate about. 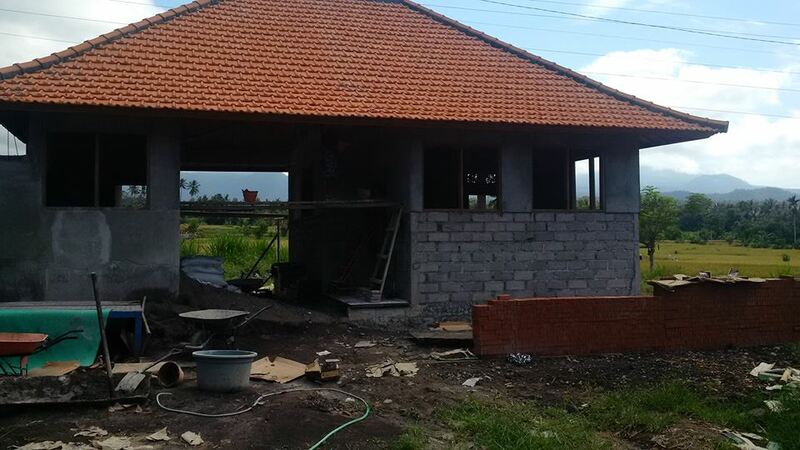 JI Volunteer Maggie is designing innovative and eco-friendly duplex housing blocks out of local materials just across the street from the existing school to allow staff easy access to the school while still retaining necessary privacy. 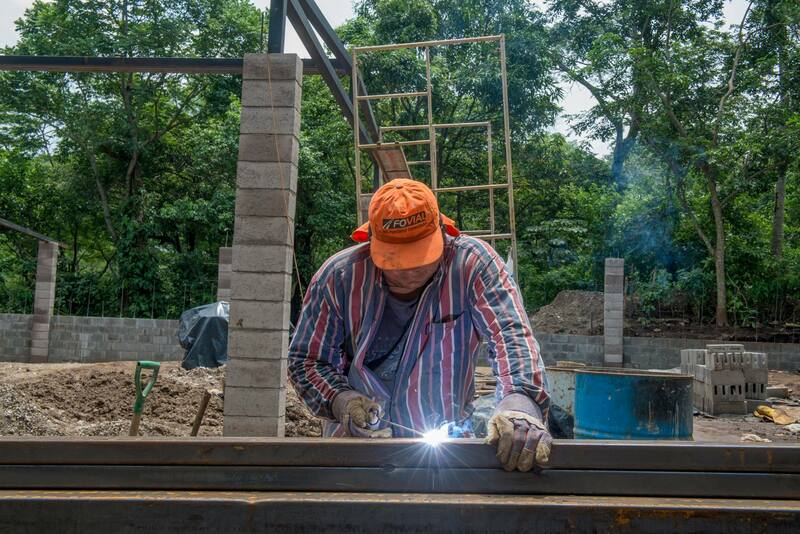 The local team is already constructing the first duplex on a fast-track schedule! 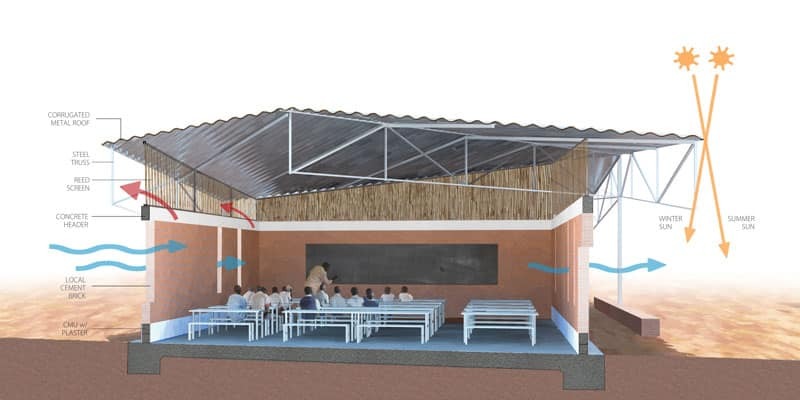 Our partner Empowering Villages has joined with Hope Assistance Foundation to design the master plan for a school in rural Eastern Rwanda. 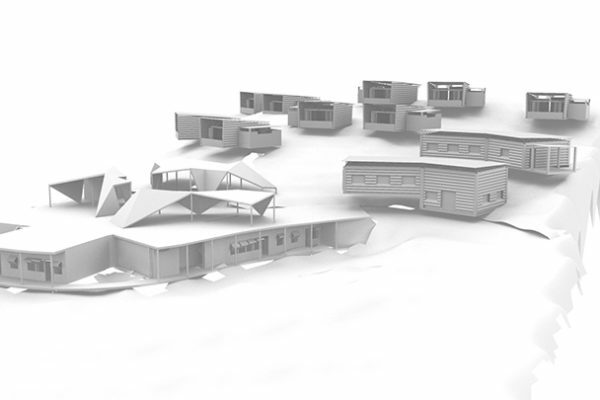 Volunteer designer Philip is a professional architect in South Africa who will design new classroom blocks, offices, and other multipurpose buildings and recreation areas for the growing school, which gives priority to youth in the lowest socioeconomic classes in the area. 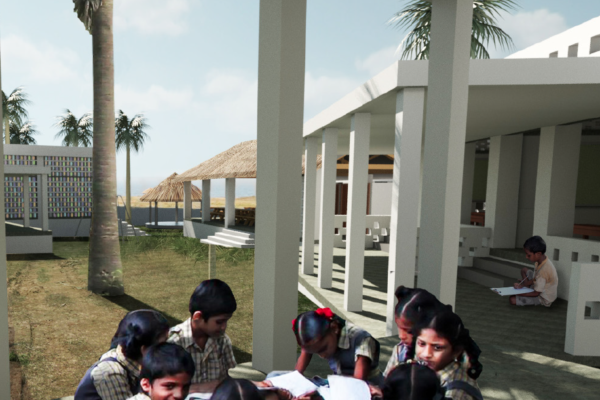 Professional firm Zero Energy Design, through architect Ben Uyeda, is volunteering its expertise to design a school master plan for the orphaned and abandoned children to learn and be empowered at all levels of education. 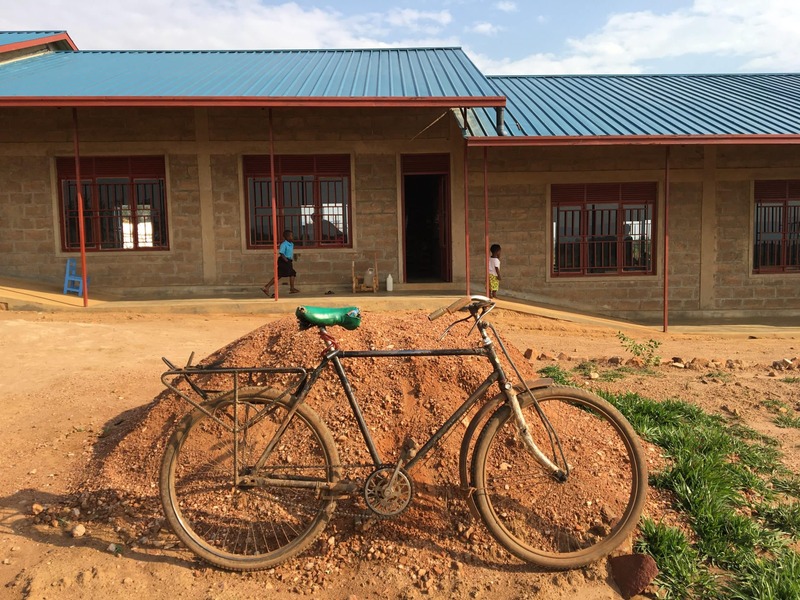 This preschool, primary, and secondary school complex hopes to provide space for life change and growth for those who need it in Uganda. 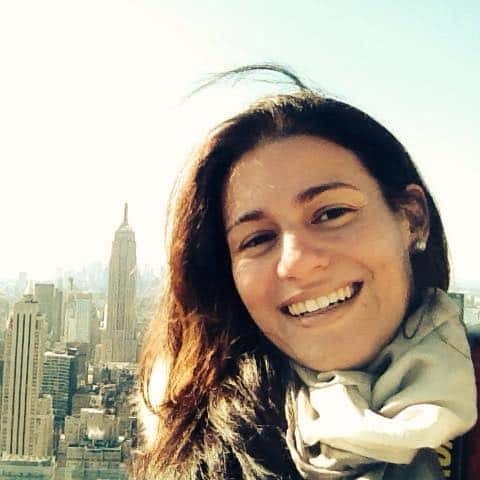 Claudia is a Brazilian Architect who lives in Switzerland, and is dedicating her time and talent to designing a school for impoverished children in Uganda. 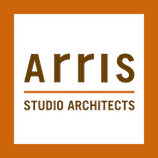 Andrew is a professional architect, university lecturer, and active member of the JI team. 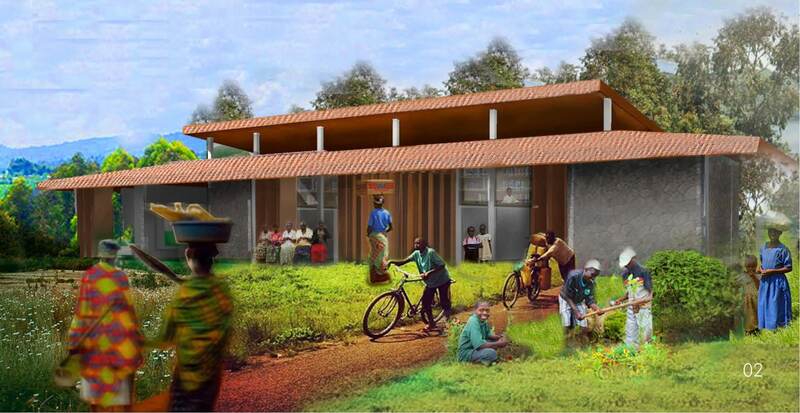 He was the designer of the award-winning JI library in Rwanda. 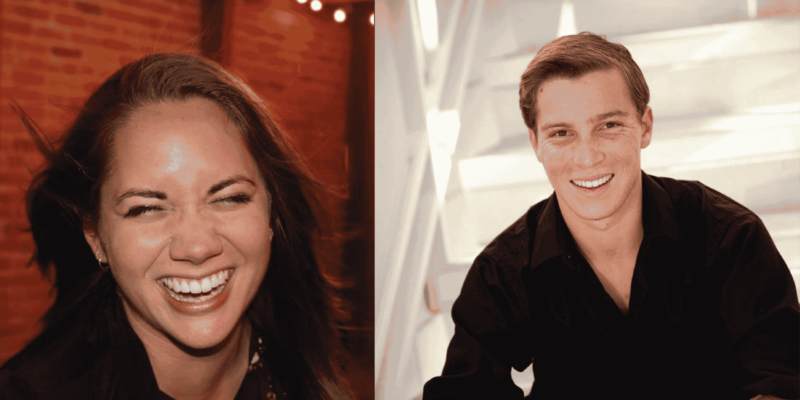 He has teamed up with JI Africa director Carly to design an industrial business incubator next to a hydropower plant in rural Rwanda. 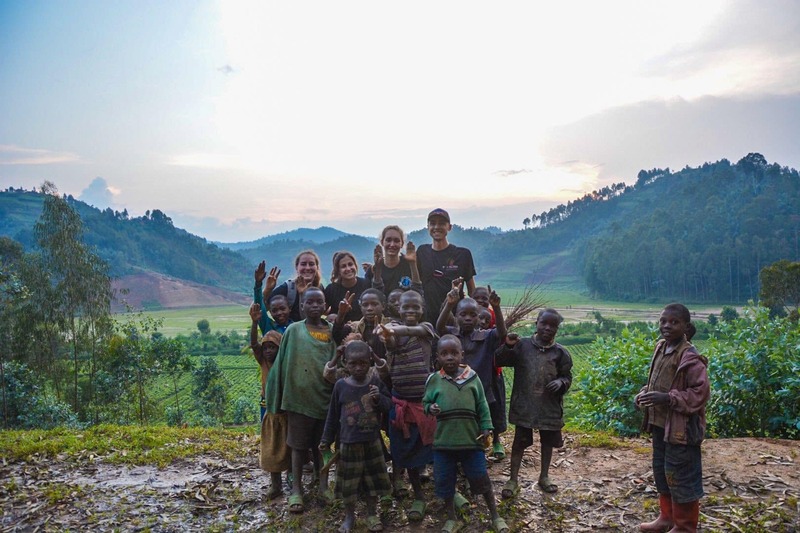 Volunteers Amanda Stahler, Tia DeHarpport, Tanya Wohlfarth, and Dustin Sullivan have designed a Women’s Cooperative and Library near the Agahozo Shalom Youth Village in Rwanda! This project is an effort to bring energy access, education, and empowerment to a village that borders an 8.5 MW solar field. We look forward to seeing this community grow and acquire more entrepreneurial opportunities for the local women! 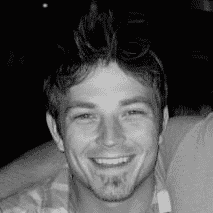 Trevor Chayce is a JI alumni and experience humanitarian designer. 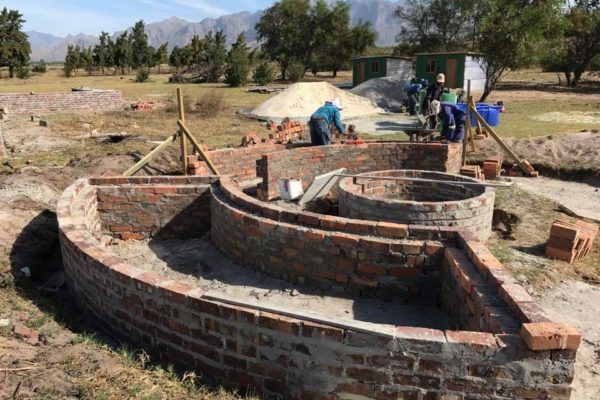 He has been supporting our partners Heart Capital in South Africa with the design development of an agricultural training center in the mountains of Cape Town. 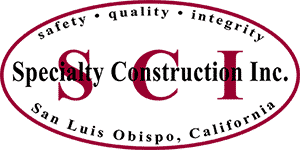 The project started construction in early 2016 and will included dozens of housing and greenhouse units! 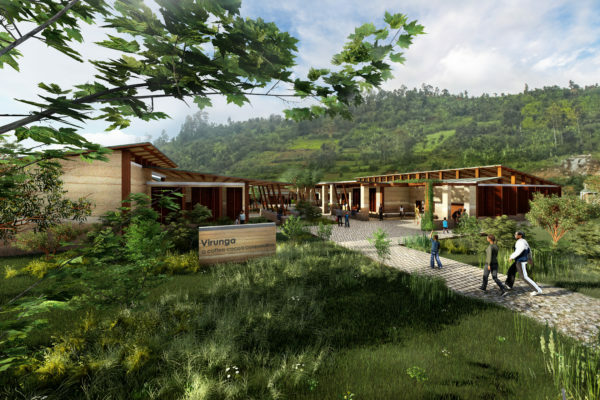 The Sunzu Village is a masterplan project that aims to bring life-changing development projects to the remove Sunzu Village in Rwanda. 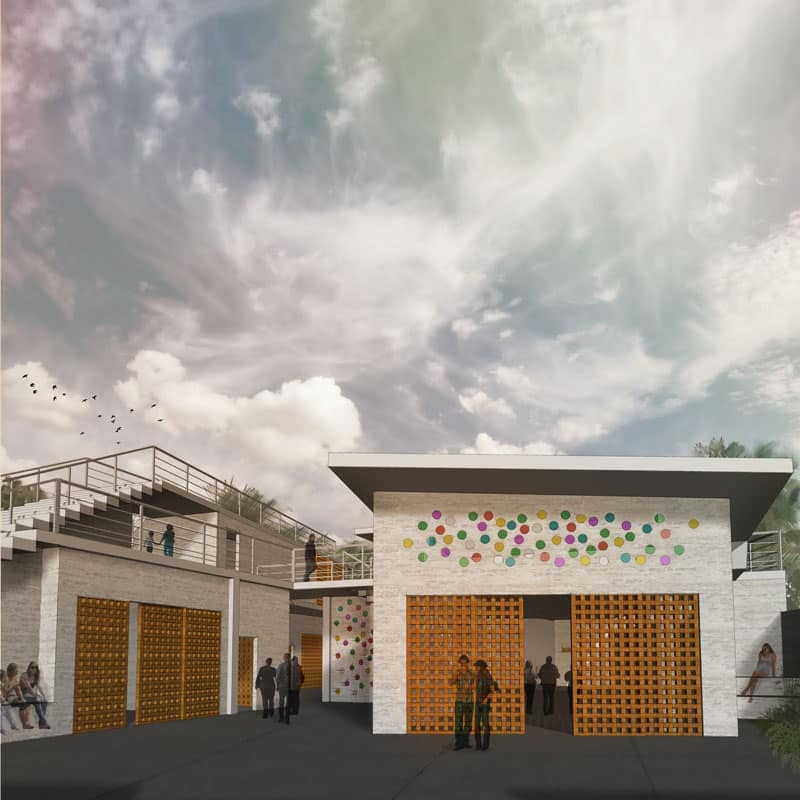 The first stage is a library that is a multi-functional space inviting children, women and men to enjoy the indoor and outdoor spaces out of locally-available materials. 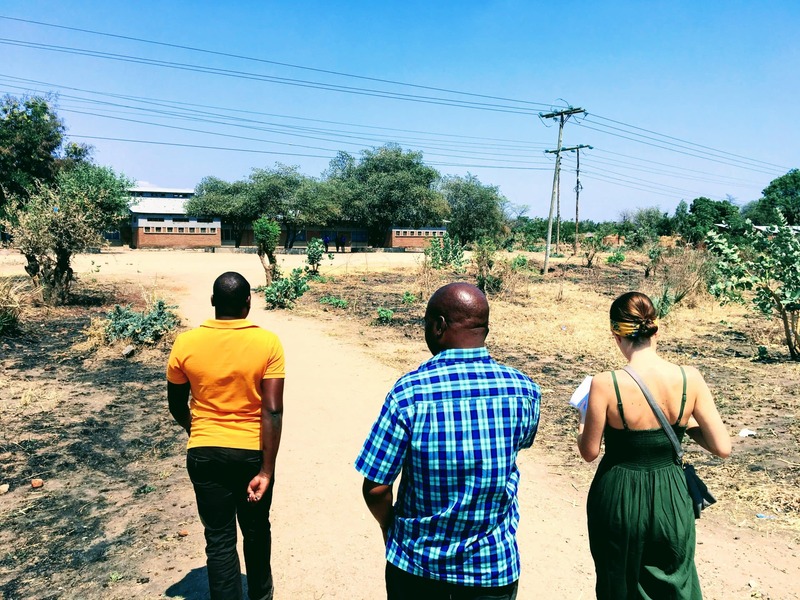 JI Director Carly Althoff is working with the Sunzu Village team to develop a master plan for the village that will include a new sports complex, multipurpose center, public latrine, eco-lodge, and several new playgrounds. 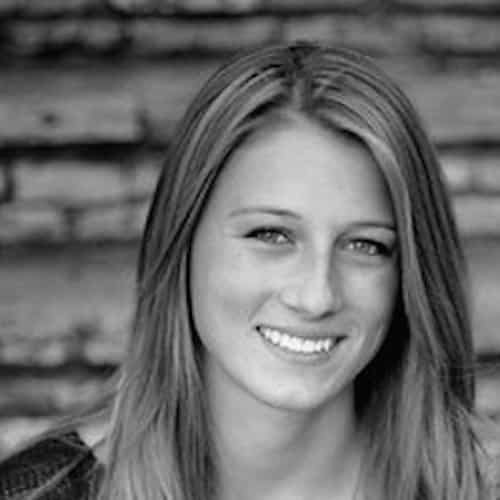 Nicole Thompson is a Cal Poly and Journeyman program alumni. 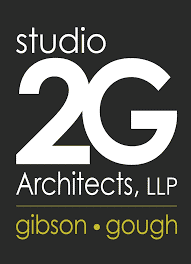 After graduating she landed a job in California in the architecture industry. 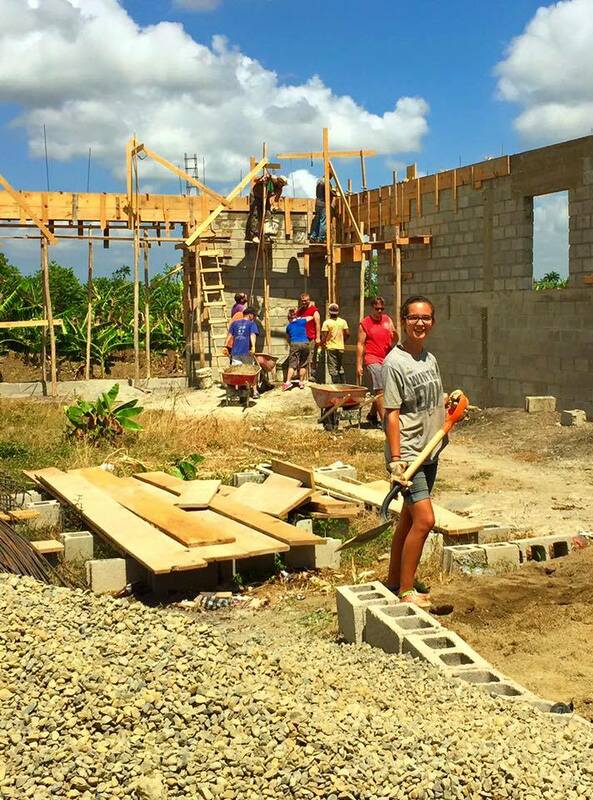 Her passion for humanitarian design has caused her to take on this humanitarian project pro bono in her free time! The library is in a village called Bungaya in East Bali. The land is owned by Puspadi Bali’s Director Nengah Latra. The population of this village is 4000 people and it is a very poor area of Bali. The average income is less than $17USD per week and the main occupation is rice farming. 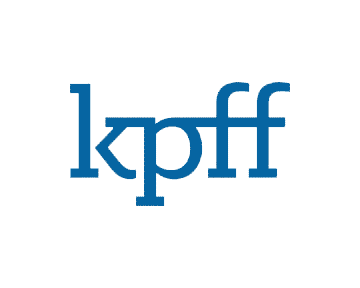 There are no library’s or book stores – to attain a book a family has to travel all the way into the capital of Bali, Denpasar, about two hours drive. 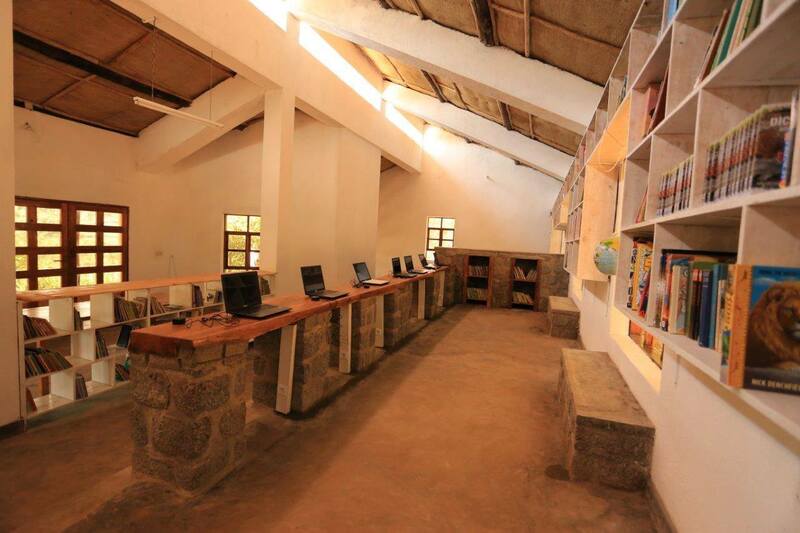 Additionally, there is currently no public access to computers in the village. 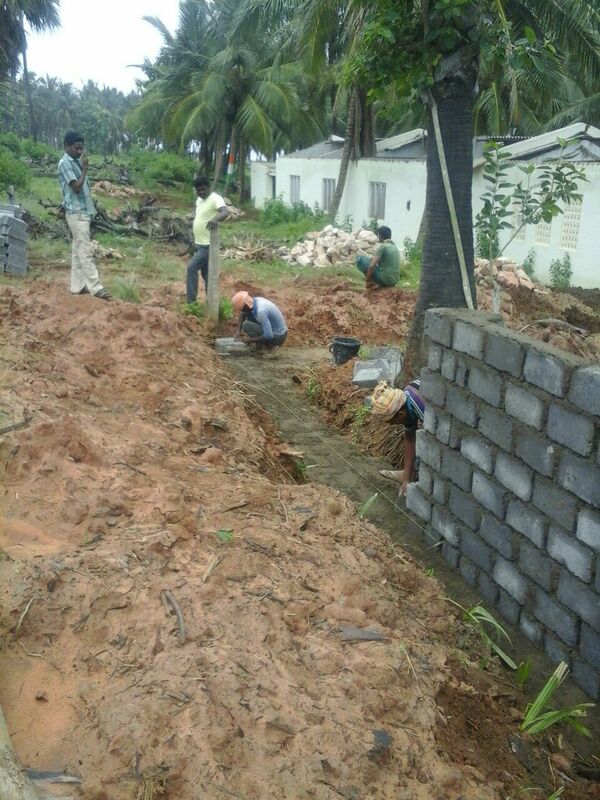 This project is going to serve the poverty-stricken kids in India, their families and their community as whole. 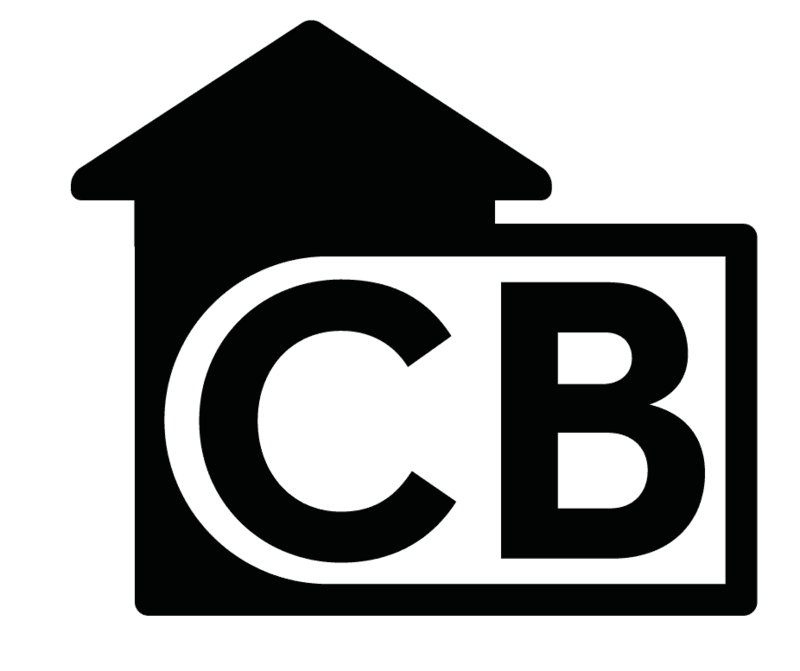 India Christian Ministries wants to build a residential school and leadership center for training the young generation with Christian leadership skills. The campus will include classrooms, recreation rooms, offices, meeting halls, auditorium, indoor/outdoor playgrounds, gym, pool and more. 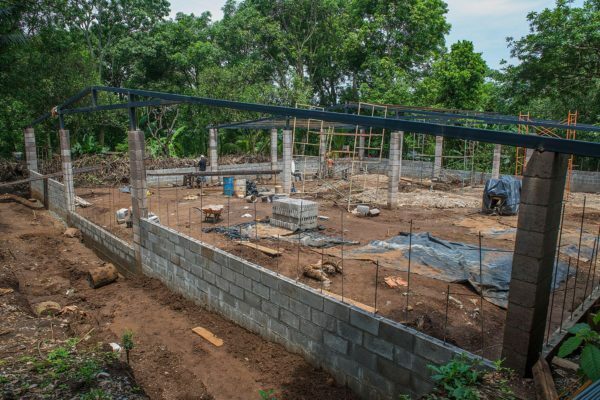 There is currently an orphanage located in San Salvador, El Salvador called Tia Ana’s that houses children that resulted from the prostitution industry in the area. 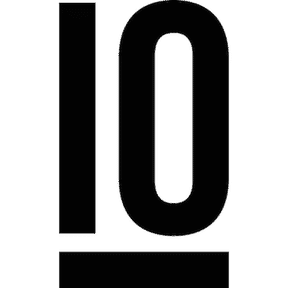 San Salvador is one of the most gang-ridden and dangerous cities in all of Central America, so Amoveo Group would like to relocate the orphanage outside of the main city, in a more safe and remote location. 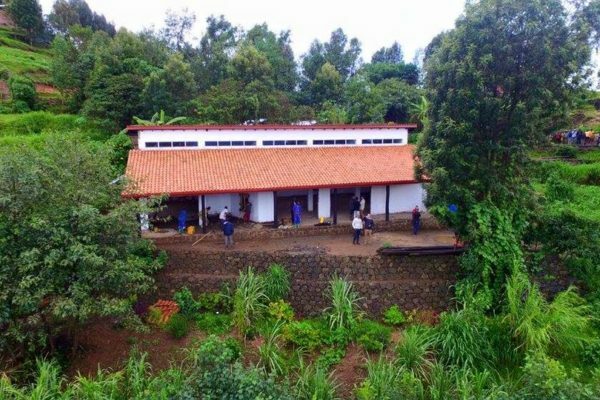 The Plan is an organic / green plantation and eco-tourism site just outside of the city that would also contain Tia Ana’s. 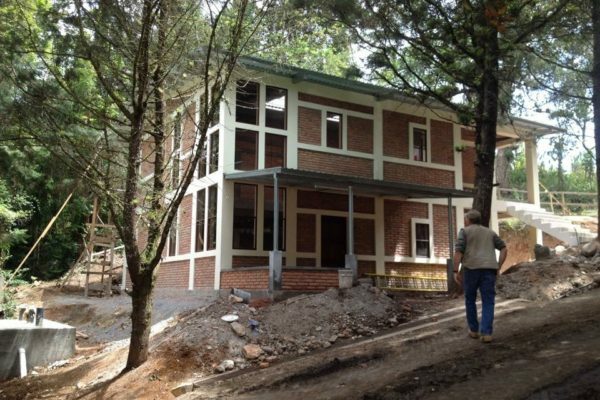 The funding received from coffee exports and hotel guests would go to the orphanage. 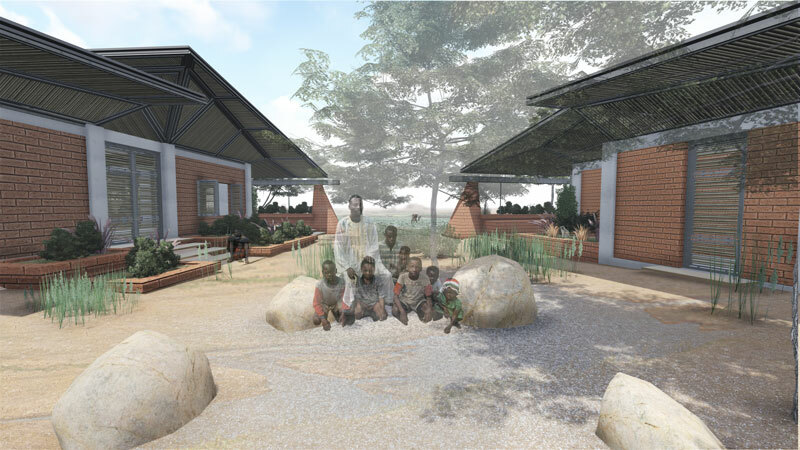 The mission of the Wongonyi Leadership Center is to to create a Leadership Centre and Eco Lodge dedication to living in harmony with the Earth’s natural resources. 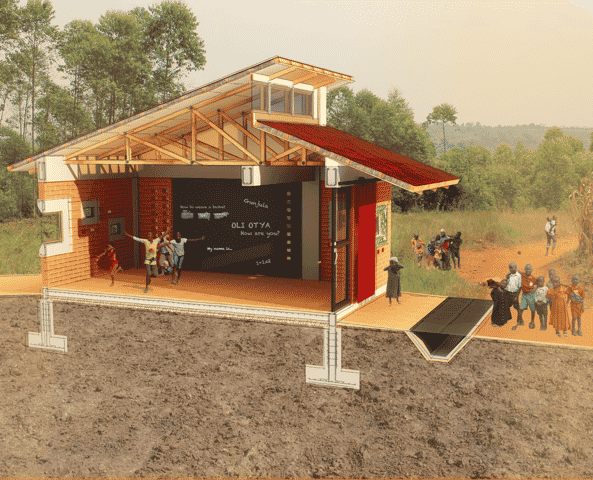 The goal is to create a resource center (funded by an eco lodge) that responds to the educational and development needs of the community as well as providing models of alternative technologies and innovative farming techniques. African Malaika seeks to inspire students from underrepresented or disadvantage groups to bridge the digital divide in their communities and to challenge their minds through enabling and providing Science Technology, Math and Literacy Empowerment Action Programme (STEM LEAP). 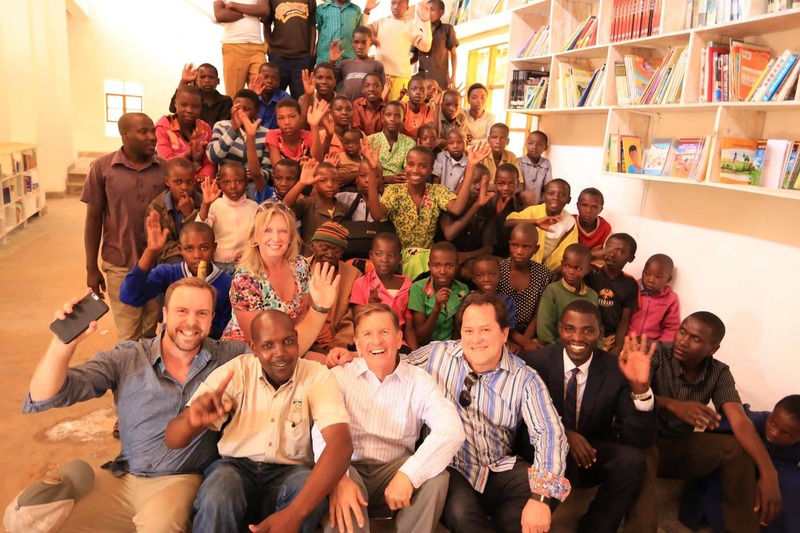 The Community Center will provide individuals with computer and books to equip the next generation of Tanzanians to change their world and become tomorrows problem solvers. La Yaguita del Pastor is one of these “barrios” or poor neighborhoods on the outskirts of the Santiago, with little or no access to sewage, water and electricity. 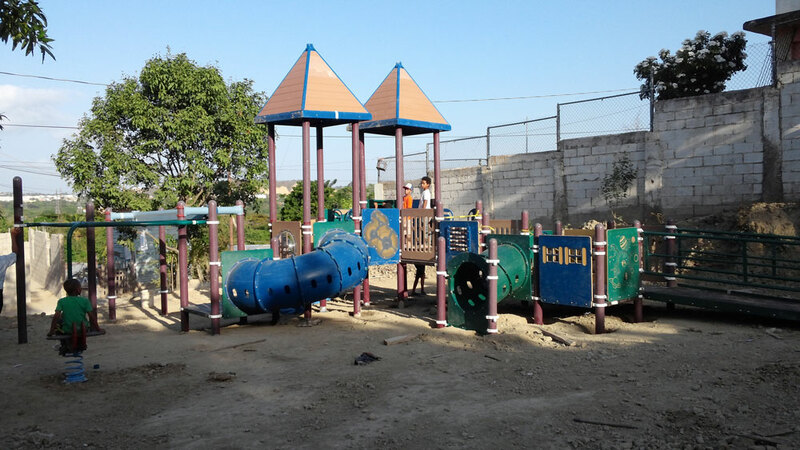 Santiago Christian School chose this barrio to partner with because of the extreme need to improve the lives of those who live below the poverty line within it. 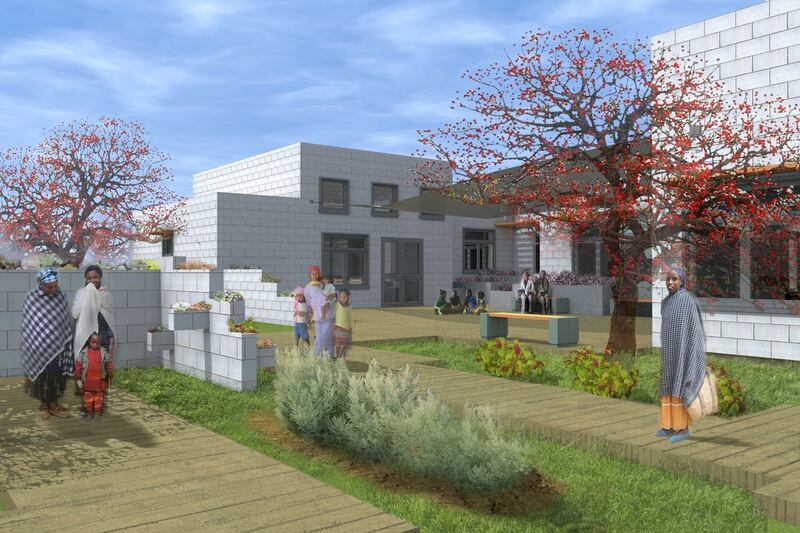 Creating a new church space will allow the existing facility to become a preschool and offer an after school program for neighborhood kids. In order to receive dental care, the local Belizeans previously had to drive for over an hour outside of Independence. 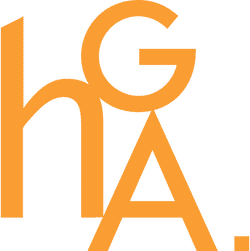 John Look, from GOM, is a professor of dentistry at the University of Minnesota and has focused his attention and resources on serving this population. The medical facility is complete and phase two (visiting doctor quarters) is awaiting funds. 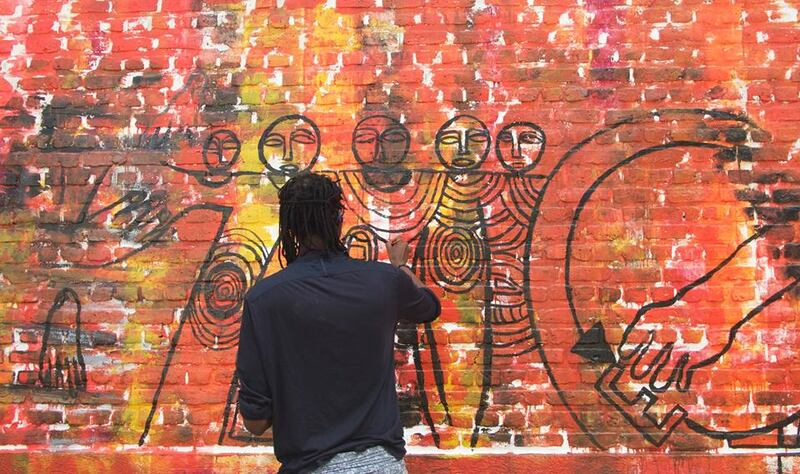 Enfoque Ciudad, under the direction of brothers Justin and Damian Hirst, works with orphaned boys 18 years and older. 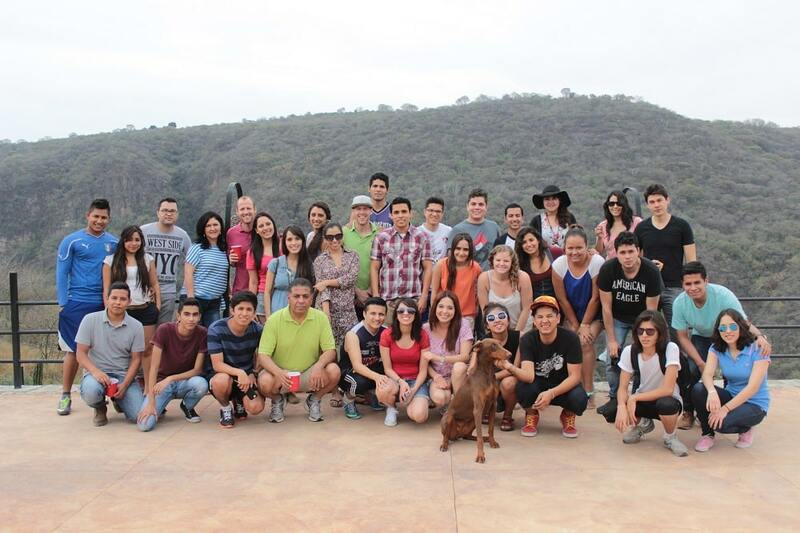 The boys come from various orphanages in Mexico that typically end their programs for youth at the age of 18. 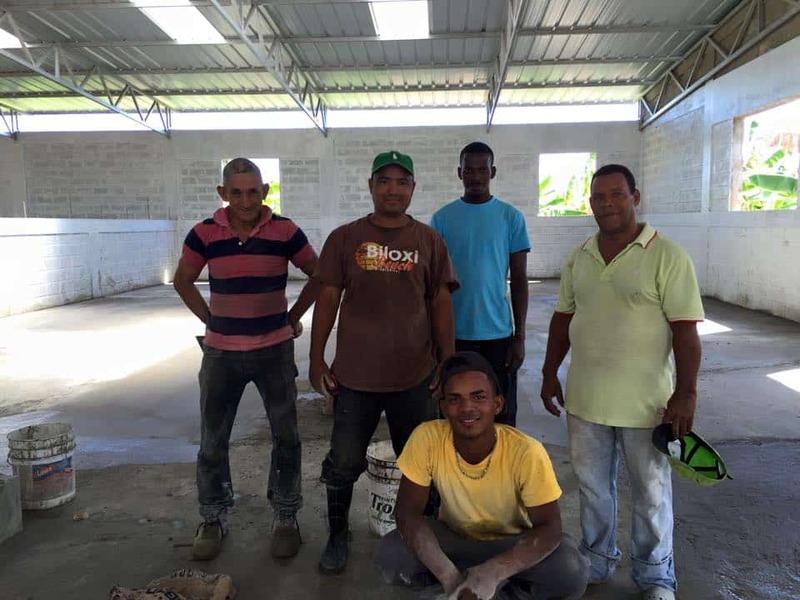 While staying at the Enfoque Ciudad property for free, they are required to work full time and finish their studies. 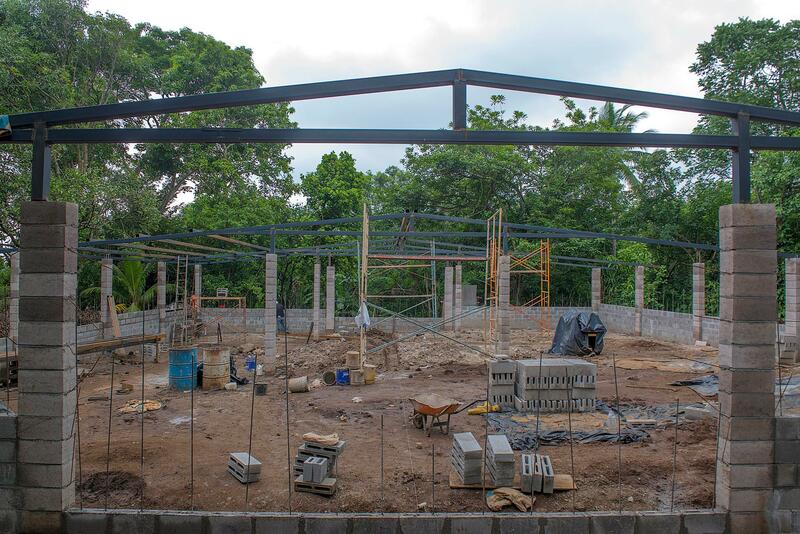 The facility is currently in phase two of construction for the year of 2013, building a soccer field, outdoor theater, swimming pool and developing the landscaping to hold future outreaches at the property. 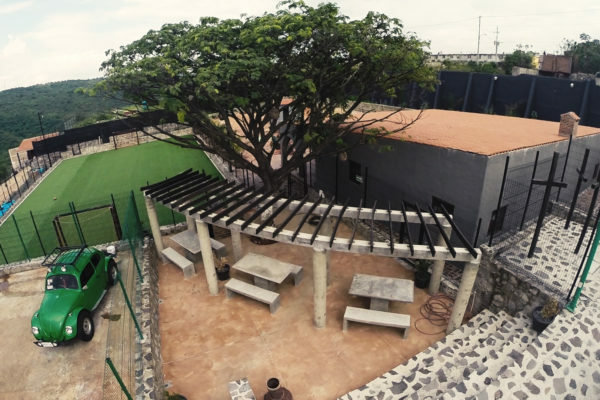 Visit Enfoque Ciudad’s website to get updates on their program and facility. 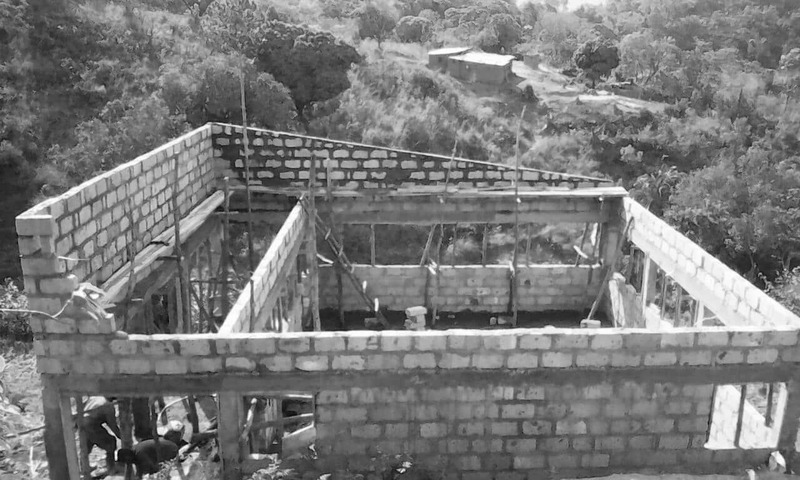 Humanitarian Partner, Roza Feleke, is dedicated to the construction, finance, and operation of the Bahir Dar Hospital. 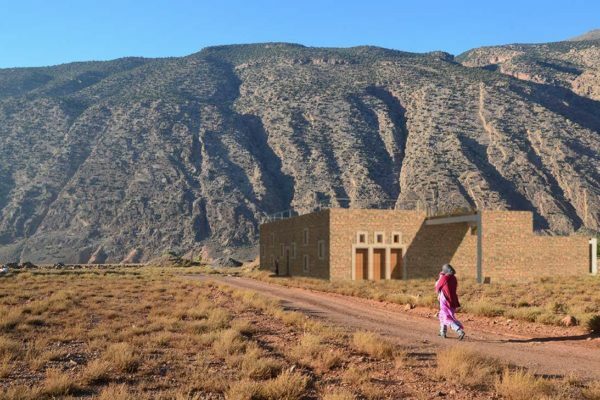 In 2008, Roza learned that the government granted her an acre of land for her project and it broke ground in the winter of 2014. 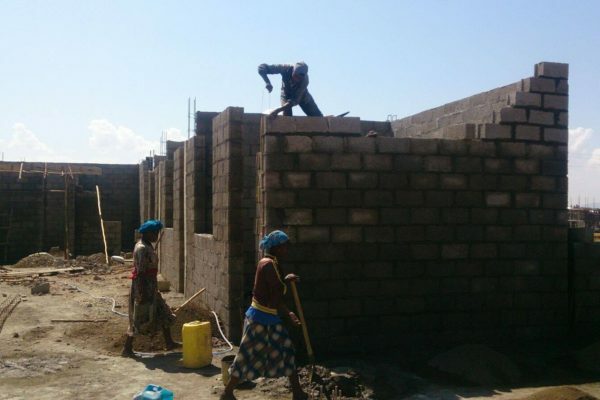 The project is currently being built by 45 WOMEN. That’s right. An all women’s construction team. 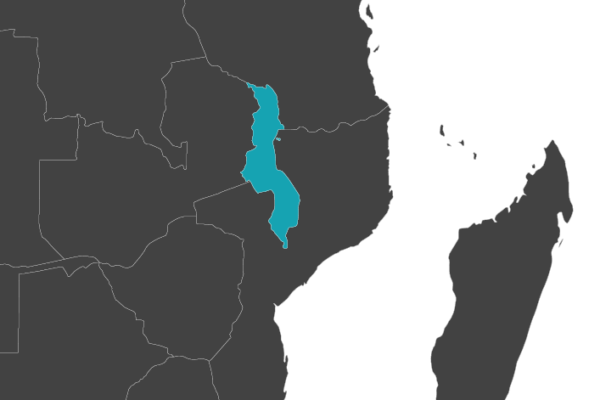 In partnership with local governments and other NGO’s, the Bahir Dar Hospital will be operating as a teaching facility for medical students. 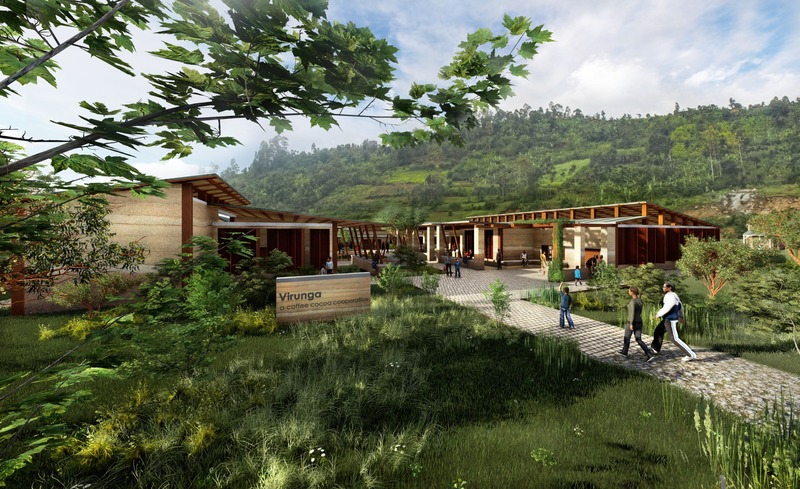 The Sunzu Village is a masterplan project that aims to bring life-changing development projects to the remove Sunzu Village in Rwanda. The first stage is a library that is a multi-functional space inviting children, women and men to enjoy the indoor and outdoor spaces. 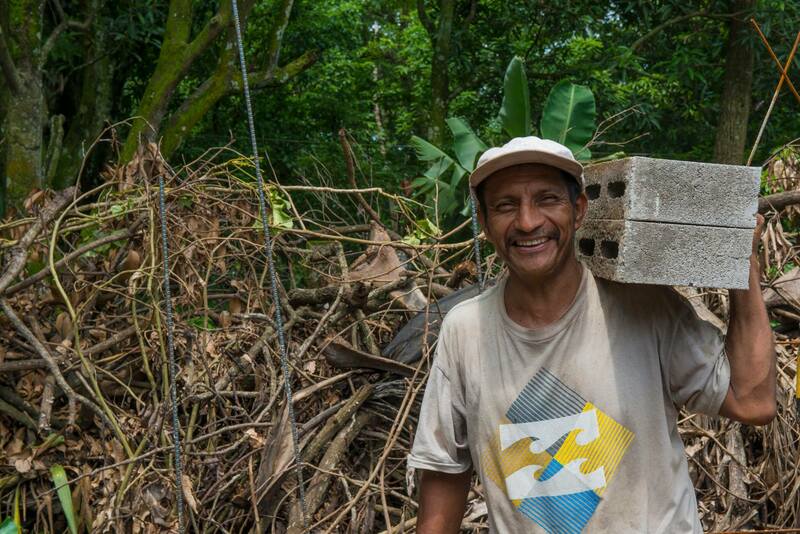 The materials of the building consists primarily of volcanic stone, brick, and clay tile roofing. 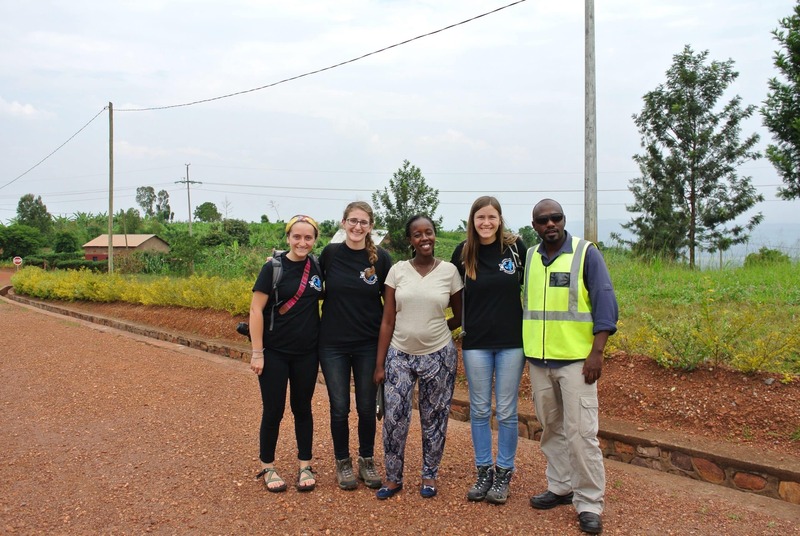 JI Alumni Carly Althoff is working with the Sunzu Village team to develop a master plan for the village that will include a new sports complex, church, expansion to the womans co-op, campground, and several new playgrounds.